Are You Being Investigated For A DUI? Avoid Your License Suspension - You only have a few days to request a DMV hearing before automatic suspension - Contact Us Now! Representing Criminal Related Offenses of All Types. We have Won Countless Cases with a Proven Track Record of Success Defending Clients Throughout Orange County and Southern California. Over the years, the lawyers at the Orange County DUI Attorney have delivered superior criminal defense representation to our clients. The attorneys at our firm have handled many complicated criminal cases and have managed to establish a track record of success in handling the cases. This track record of success has led judges, prosecutors, and others in the legal field in Orange County to have the utmost respect and regard for our firm. Through our firm’s dedication, integrity and respect for the ethical standards of the legal profession, we have earned our peers’ and clients’ respect. Working alongside our clients and their families throughout their entire case is very important to us. If you or anyone you know has been arrested, please contact our firm. Our firm offers a free, confidential consultation to help you understand all of the options available to you in your particular situation. By calling our office, our attorneys will assure that you do not make any mistakes, such as making self-incriminating statements that can hurt your case, when proceeding with your case. Our attorneys will also investigate the circumstances of your arrest, such as the charges that have been brought against you and offer legal advice on how to build a strong defense. Our firm’s attorneys will use all resources available to them to build the best case. These resources may include interviewing witnesses, hiring a private investigator, and a careful analysis of all the relevant facts and evidence of your case. Orange County DUI Attorney focuses on criminal defense law. We have handled many cases and take pride in defending people accused of crimes, including police officers, sheriffs, SWAT officers, Border Patrol agents, and Department of Defense members. Our Team of attorneys has been defending clients charged with violating the criminal laws of California for decades. The Orange County DUI Attorney provides criminal defense representation throughout Orange County in an aggressive, experienced, and professional manner. One of the Biggest Mistakes People Make is to Hire an Attorney Without Physically Meeting With Them. Never Hire an Attorney Sight Unseen! Can We Meet In Person For a Consultation? How Many Cases Have You Handled? Who Will Be The Attorney Directly Handling My Case? What Are The AVVO Reviews for My Assigned Attorney? How Accessible Will My Attorney Be To Me? What Courts Do You Primarily Work At? How Do You Decide What Types of Cases You Accept? What Are Your Fees and Do You Accept Payment Plans? When you are facing a criminal charge, choosing the right attorney is one of the most critical decisions you will make. Making the right choice is important because whoever you choose will be the person next to you at all times during this process, objecting to certain evidence against you, talking to the prosecutor, and arguing for the jury and judge to give you a favorable verdict. At the Orange County DUI Attorney, we prefer you take the opportunity to ask your attorneys the tough questions at the initial consultation to ensure that, in your time of need, we provide you with all the answers you need in order to put your mind at ease and ensure your confidence in our abilities. Questions you may want to ask the attorney are: How long has he or she been an attorney? How many cases like yours has he or she handled? And how many jury cases has he or she handled? We don’t expect you to hire us because we are confident in our abilities to represent you well. The attorneys at the Orange County DUI Attorney Law Firm want to be hired because they are truly the best in the business. The attorneys here will advise you to research other attorneys online. Hire us once you are sure that the attorneys at the Orange County DUI Attorney are truly the best in the business. Most clients do not ask the tough questions during the initial consultation because they feel that attorneys do not want to answer them. However, the sooner we get down to the tough questions, the sooner we can get a head start on building the best possible defense for your case. 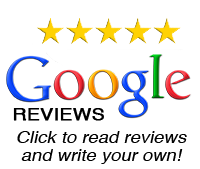 OUR CLIENTS TRUST US AND HAVE SEEN THAT WE ARE TRIAL TESTED. Although other companies say that they will provide the best customer service, they often don’t. Here, at the Orange County DUI Attorney, we are dedicated to uphold our promise to provide exceptional service. Our staff is focused on our DMV cases and is available to you at all hours of the day, every day of the year. Our attorneys will explain all of your options in a respectful and honest way. At the Orange County DUI Attorney, we defend the charges against you in an aggressive way, seeking every possible strategy to build your defense. We understand that more than 50 possible causes that can result in inaccurate BAC and breathalyzer readings, that the officers administering these tests may violate the arrestee’s rights, and that the majority of evidence brought against a defendant can be disputed. Our firm has high-tech computer software that has the ability to assess a person’s metabolic processes to help develop a strong personalized defense. When we handle your case we aggressively pursue your interests in every way possible so that we exhaust every available strategy. There is not enough evidence to support the DUI charge. There was no probable cause to warrant the traffic stop. The evidence relating to administrating tests was mishandled (blood and breath test procedures). Evidence showing a violation of the defendant’s Miranda rights. The defendant could successfully perform the field sobriety tests. Any of the defenses mentioned above could be raised appropriately to your case. If you are facing DUI charges, contact our office to have one of our attorneys assess the specifics of your case to decide what defense can best challenge the charges against you. Remember, a good defense strategy often depends on when it is prepared, for the best possible defense make sure to call an attorney immediately following your arrest. After being arrested, a person may seem lost and not know how to proceed through the complicated legal system. Hiring an Orange County DUI Attorney means that your representation will be competent, as well as able to fight for your rights in a skilled and devoted manner. When you arrive at the Orange County DUI Attorney Law Firm, our support staff will greet you and will then conduct an initial consultation. During the initial consultation, our staff will gather important information and present your case to the attorney. The initial consultation is also the time where we will put a name to a face and familiarize himself or herself with the circumstances of your arrest and present the facts to the attorney to identify what penalties, or punishments the charge against you may carry. The charges you may be facing are unique to you, meaning that those charges will affect you in a different way than it would affect another person because of what may be going on in your life at that point in time. An adverse outcome to your case may have a ripple effect on different aspects of your life, such as, school applications, applying for security clearances, background checks, your right to possess firearms, or professional licenses. It is imperative that, during the intake process, your attorney gets to know you and what the charges against you may affect so that the attorney can tailor a defense strategy to your needs. This is why the Orange County DUI Attorney makes it a priority to personally meet with and learn and meet with the client and provide the client with a free consultation to develop a defense strategy that will increase the chances of getting the best possible outcome to your case. During the initial consultation, our staff meet with you to gather all information and afterwards, your attorney will navigate you through the strategies that can be used in defending your case. At the Orange County DUI Attorney, we help our clients on a step-by-step basis and advise them on what we would like them to do as their case goes forward through the legal system. Every person employed at the Orange County DUI Attorney will not pretend to be invested with you or your case; we do not humor our clients for a paycheck. Unlike most other firms, who do not take client calls outside of 9 in the morning and 5 in the evening, our attorneys are available to our clients at all hours of the day. This ensures that our client’s stay informed on the status of their case, and that we are doing everything within our power to provide the best possible defense we can. Our certainty that the level of representation and devotion we have to our clients is unique, gives us the confidence to say: if you are able to find another law firm that has the same experience, with the same track record of success in defense cases, who you can reach at any time of the day, hire them. We have the utmost confidence that no other firm can provide the same level of services as the Orange County DUI Attorney. The Orange County DUI Attorney has developed into a superior practice because it has been founded on the principles of dedication, strength, and honesty. Over the years, Joshua Baskin has defended many different clients, against a variety of criminal charges. Mr. Baskin has handled cases that required representing only one client and has handled cases requiring him to defend multiple clients involving complex legal issues. During his successful career, Mr. Baskin has consistently represented his clients with superior skill. Mr. Baskin has taken the experience, and knowledge that he has learned throughout his career and has instilled it into all of the attorneys employed at the Orange County DUI Attorney Law Firm. The skill, honesty, and devotion exemplified by all of our attorneys have earned our firm the highest utmost respect with all the prosecutors, judges and other legal professionals we have encountered. As mentioned above, the Orange County DUI Attorney Law Firm has developed a well-respected law firm by always adhering to our founding principles; strength, honesty, and dedication. We handle each of our cases with the highest form of professionalism and respectfulness, and we will not crumble under pressure. We will strongly advocate for you and never act in a manner that is not in your best interest. Honesty, and commitment to justice are some of the factors that have led our firm earning the respect of the Orange County legal community and have led the legal community to know that whenever our attorneys enter the courtroom, they mean business. What many other firms lack is that they do not value or they misunderstand what it means to be a “good” criminal defense law firm. Many other firms know that they must be professional to be successful and understand that they should not agitate the prosecutor, or the judge. However, some firms let the importance of professionalism deter them from not advocating as fiercely for their client as they should. This misguided over valuing of professionalism often leads to attorneys who are ineffective in advocating for their client’s best interest. In doing so, the prosecutors, or judges dealing with these types of attorneys may take advantage of this characteristic and push them around. At the Orange County DUI Attorney, our lawyers are not afraid to fight and push back if we see that a prosecutor is trying to take advantage of you and your case by not negotiating fairly. Most prosecutors have learned not to take our professionalism as a weakness – we have established that we show up to court to protect and fight for your best interest, not to make friends. Over the years we have honed our craft and perfected our understanding of the criminal process in the legal system. We have a firm, and assertive mentality when it comes to the criminal process that has been a main factor in our firm’s track record of success. Many law firms may assure you that they will personally handle every stage of your case but end up only sending an “appearance lawyer.” At the Orange County DUI Attorney, Mr. Baskin promises, in writing, to expertly represent you and handle your case thoroughly and carefully. At the Orange County DUI Attorney our goal is to make sure that our clients are confident that we will prioritize and treat their case with the carefulness it deserves. We will provide each client with their attorney’s office phone number, the number of their cellphone, and their email to ensure the client has a way to contact their attorney because we realize some things may arise outside the hours that comprise the regular business day. Our attorneys make themselves available to the client during the night and weekends, making our dedication and commitment to the client incomparable to other law firms. One factor that usually follows a criminal defendant when looking for the best attorney is “a mill.” A “mill” is known for being a law firm that represents many clients at one time and promises to get the clients a certain result, but then the firm hires other attorneys to do all the work for the case for a lower price than what the client paid the law firm. The way mills operate is very unethical and most often does not get the client the best result possible. To a “mill,” a client is just an unknown face. At the Orange County DUI Attorney Law Firm, we devote time to familiarize ourselves with our clients; OUR attorneys, unlike other attorneys, will handle your case from start to finish, and are invested in what the outcome of your case will be. Our attorneys share the same perception of the “mill” concept, believing that it is unethical and repugnant, and our business practices reflect our devotion to provide our clients with the best representation possible. We treat clients, how they should be treated, as real people who have trusted us during a stressful and important time in their lives, rather than just paychecks. We provide one-on-one representation in every case we handle. The only attorney that will handle your case are listed under the “meet our team” page of this website. Please take the time to familiarize with our knowledgeable, talented, and devoted attorneys that make up the Orange County DUI Attorney law Firm! A prosecutor will try to make you believe that the charges you are facing are incontestable, however, that is usually wrong. Our attorneys at the Orange County DUI Attorney are able to analyze the circumstances surrounding your case and provide you with assistance to build the strongest defense to challenge the charges you are facing. Our attorneys will utilize their experience in handling DUI cases to best prevent a DUI conviction. Here are some of the things you should know about the legal process after being arrested for DUI in Orange County. After being arrested for DUI, many people have unanswered questions. They may wonder will I get jail time? Do they need a defense attorney? How much the attorney and the DUI process costs? What happens at an arraignment? Can they beat a DUI charge? Hiring an attorney will help ensure that you know what your rights are and may relieve some of the stress before your criminal court hearing. This website and our blog provide you with information on multiple subjects related to DUI charges. Moreover, the information provided to you below should give you some idea of how to proceed in your DUI case. Remember, if you would like more thorough and specific information you can always contact our office for your free consultation. An arraignment hearing is the first court appearance after being arrested and charged for a DUI. At the arraignment, the charges against you will be formally brought and you will need to enter a plea. You can plead guilty, not guilty, or plead no contest. Moreover, you have the right to contest the charge you are facing. To challenge the charges against you, you must plead not guilty; following your plea the court will then schedule a trial. The arraignment can be a complex and overwhelming process if you do not have an attorney representing you. The presence of an attorney at your arraignment can provide you with assistance, and an explanation of what is happening, so that you are made aware of your rights and that those rights are protected throughout the entire arraignment. In an arrest for driving under the influence (DUI), the arresting officer will confiscate your driver’s license, and the officer will give you a temporary license, as well as provide you a suspension notice. The temporary license only lasts 30 days. After the 30 days have expired, your driver’s license will be suspended. How long your suspension period is depending on how severe the charge against you is and can range from 30 days to one year. Declining to take a breath test during your arrest results in an automatic one-year license suspension. Any prior DUI convictions may affect the suspension of your license, usually prior convictions may add anywhere from 2 to 10 years to your suspension. License suspensions given by the Department of Motor Vehicles (DMV) apply even if the charges for DUI against you are dropped or lessened. However, if you request a DMV hearing within 10 days after being arrested, you are entitled with the ability to challenge your license suspension. If you hire one of our attorneys, your attorney will be present at your DMV hearing to ensure you understand what is happening and to increase your chances of keeping your driving privileges. In order to challenge your license suspension, you, or your attorney, must call the Driver’s Safety Office of the DMV no later than 10 days after your arrest. If you fail to call within the 10 days after your arrest, the ability to challenge your suspension is waived. People with an out-of-state license have to abide by the same rules; failure to do so will result in the suspension of their license in the state that it was issued in. One of our highly knowledgeable DUI attorneys can provide unparalleled assistance throughout your DMV hearing and will advocate for the best result possible. If charged with DUI in California, you may be facing various potential penalties. Those penalties may include jail time, driving privileges being suspended, monetary fines, and other fees. A first DUI offense is considered a misdemeanor, and can include penalties such as, the loss of driving privileges for 6 months, jail time for up to 6 months, and monetary fines up to $1,000. Penalties can also include mandatory participation and completion of drug and alcohol courses lasting 3 - 9 months. If you have had prior DUI convictions you could face more severe penalties. I highly recommend Orange County DUI Attorney. They did a great job. They clearly answered all my questions and kept me informed of developments as my DUI case progressed, and quickly responded to all my questions. I highly recommend his firm to anyone in need. 30 years of experience matters when it comes to criminal cases. I highly recommend the Orange County DUI Attorney for your criminal and DUI matters. Their experience and tenacity in the courtroom is the advantage you want on your side. One of the best criminal attorneys in Orange County. 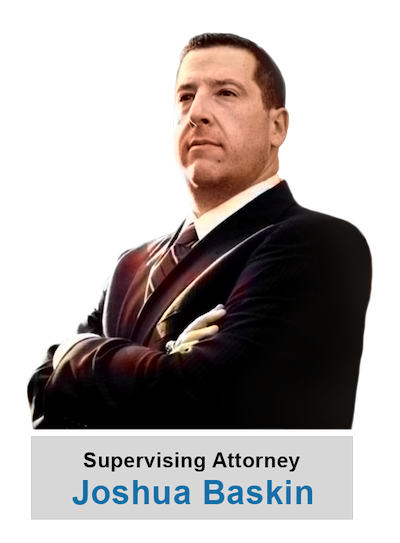 If you are looking for an aggressive and experienced DUI attorney in Orange County then you go with this DUI law firm. I recommend them to anyone who is in DUI trouble in Orange County. Our attorneys have been providing highly successful criminal and DUI defense services for more than a quarter-century. We have earned the widespread respect by practicing law in a highly ethical manner. Our firm is held in the highest by the legal community in the area, as well as our clients because of the personalized attention our clients receive when they hire us, and the respect we give the judges, and prosecutors we work with. For a free DUI consultation, contact us today. Disclaimer: This site contains general information only. It is not intended to provide legal advice, nor does it substitute for the professional judgment of Orange County DUI Attorney concerning the facts and the laws that apply in your individual case. For legal advice, please call Orange County DUI Attorney 949-377-2280. This is for advertisement only and should not be intended for legal advice. Website platform and DBA name is registered to attorney Joshua Baskin. Various attorneys with this platform maintain independent law practices.